The Bobcat brand has been supplying high quality and innovative plant equipment for over 50 years and as a result has become one of the most recognised names in the construction industry. 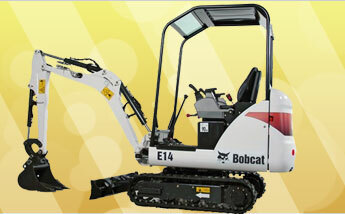 If you have invested in a piece of Bobcat equipment, we understand that you will want to protect that investment by ensuring that any repairs are carried out by trained engineers, and your windscreen will be no exception. Here at Plant Glazing Services we specialise in offering high quality, convenient and reliable Bobcat windscreen and glazing services that will have your vehicle safely and professionally restored and back in action in no time. We pride ourselves on providing a fast and efficient on site service, so simply give us a call and we will arrange your expert Bobcat windscreen repairs today.